There are 1024 ways to win on 5 reels when you play Lucky Panda Playtech slots! Coin sizes may vary from 0.20-100 and allow a 72 coin max. The jackpot pays 4,000 coins on Lucky Panda. Bonus Features include free spins and wild symbols on reels 2,3, and 4! With 20 paylines featured on 5 reels, the jackpot for A Night Out will pay 10,000 coins! The denominations range from 0.1-100 and can bet a maximum of 200 coins. A Night Out features up to 20 free spins with a 10x multiplier for maximum action. Both wild and scatter symbols will appear throughout. There are 2 distinct bonus features in Santa Surprise, a gamble option and a festive theme. With this 5-reel, 20-line Playtech slots, users can win a jackpot of 10,000 coins! Denominations range from 0.1-5.00 and allow players to bet a maximum of 200 coins per spin. Pick up free spins by getting scatter symbols! With a jackpot that is over 2.7 million, Monty Python’s Spamalot allows users to bet a maximum of 20 coins with dominations ranging from 0.01-1.00. There are 2 progressive jackpots that can be won by getting the bonus feature. Free spins, wild symbols, and multipliers make this game an exciting experience. Many online casinos are using Playtech slots because they offer a unique gaming experience. In order to get the most traffic, these casinos offer a wide variety of bonuses, comps, and promotions for their players. Aside from the amazing bonuses, the casinos are always adding the latest and greatest slots from Playtech. At Paddy Power, they are offering £/€5 free at signup and a 100% match bonus of up to £/€300! For every £/€10 that you play, you accumulate 1 point. Collect enough points and trade them in for cash! At Bet365 online casino, there is a slots-only bonus for new users that give 200% deposit bonus for maximum of £/€400. They’ve also set up a VIP scheme that gives its players chances to win bonuses and free entry into tournaments. The points system is similar to other online casinos, where you can accumulate points and turn them into cash! Offering 20 paylines on 5 reels, Sherlock Mystery can pay a 10,000 coin jackpot! Coin sizes will range from 0.1-2.00 and allow players to bet up to 25 coins per spin. Free spins, wild symbols, and multipliers are available. There is also a “pick to win” crime scene bonus! 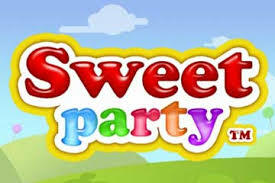 There are no paylines for Sweet Party. Instead, there is a 5×5 grid. You must match 5 symbols to win. If you match 8, you will get a percentage of the jackpot. When you match 16, you will win the entire jackpot of 5,000x your bet. There are no bonuses or free spins, but this game is definitely still fun to play! Streak of Luck features 50 paylines across 5 reels for maximum slots action! This game has everything: wild symbols, free spins, multipliers, and bonus games! The progressive jackpot is still on the lower side, considering it was just released in July of 2014. Though, count on it getting enormous because this slot has gained a great amount of popularity in a short period of time!